Might Paul Farbrace prove to be the missing link should England fail in their bid for World Cup glory this summer? When looking to a model for elite sporting success, many turn their eyes towards Manchester United Football Club. Under Sir Matt Busby, the club recovered from the tragedy of the Munich Air Disaster in 1958 and went on to develop a new team of ‘Busby Babes’ to become European Champions in 1968. A global brand was developing before people were aware of what a global brand was all about. The commercial success of the club ever since has been down to visionary thinking, and a certain amount of risk-taking too. However, no off-field success is sustainable without on-field achievement. So, the appointment of Sir Alex Ferguson after a fallow period of two decades, proved the single most effective appointment in the history of the modern Manchester United. Recruiting a selection of the world’s best players helps too. But, it is in the process of integrating high-profile signings with locally-developed talent that is the skill of the best managers and coaches. Sir Alex seemed to be a master at it. From the recruitment of the ‘maverick talent’ of Eric Cantona through to the more recent acquisition of Paul Pogba as a youth player, Manchester United seem to have enjoyed a remarkable record in developing succession plans. However, all this seemed to end when Sir Alex retired. A similar disruption to the journey of success occurred when Sir Matt Busby retired. Recruiting the right conductor for the orchestra is vital to achieving the perfect harmony, but it goes beyond the conductor. The players in the orchestra need to be good at their individual roles if the performance is to achieve excellence. Perhaps one of the keys to Sir Alex Ferguson’s success was the appointment of his number two? The role of the Assistant Manager is a key function within the overall set-up. After a difficult few years at Old Trafford, and the dismissal of Jose Mourinho half way through the 2018-19 season, the famously rich Manchester united turned to one of their ‘old-boys’ in Ole Gunnar Solskjaer as a Caretaker Manager. The turnaround in results, style of play and mood around the club since he took over from the clearly dispirited and increasingly sour Mourinho has been remarkable. However, I wonder if more credit should go to the role played behind the scenes by former United captain and one-time Assistant manager to Sir Alex, Mike Phelan? Phelan is to Solskjaer what Carlos Queroz, Steve McLaren, Archie Knox were to Ferguson. The sounding-board, the fresh voice, the extra pair of eyes and ears – all vital qualities to add to the coaching mix. Jose Mourinho always had Rui Faria as his number 2. It was a friendship which took them to six clubs in three different countries and was at the heart of their success as they won 25 trophies together after having met at a Coaches Convention in Barcelona in their formative years transitioning from physical Education to Professional Football coaching. It may be co-incidental, but when Rui Faria decided to exit Manchester United and leave his close friend and ‘Boss’ behind in favour of a sabbatical, Mourinho seemed to struggle badly. Without a trusted sounding-board, senior leaders can find themselves isolated and as a consequence develop a siege mentality that ultimately manifest itself in detached relationships with others. Once communication becomes less open, and less clear, the organisation begins to suffer. And, once this happens, it is seemingly all downhill from then on. Something very similar happened in football management to the late Brian Clough once he fell out with his long-term assistant Peter Taylor. They were a double-act – one fed off the other’s strengths and each compensated for the other’s weaknesses. Much like some of the best partnerships from other industries, it’s often about the integration of contrasting opposites that enables ‘the magic’ to emerge from the relationship. When I think of comedy, I am drawn to the iconic names such as ‘The Two Ronnies’; Morecambe & Wise; Laurel & Hardy; Flanagan & Allen Mel Smith & Griff Rhys Jones among others. In sport, I remember how England Rugby was transformed in the 1980’s under the wise partnership of Geoff Cooke and Roger Uttley. And how Warren Gatland and Shaun Edwards are a force to be reckoned with in every role they take on. In successful England Football teams down the years, I note that both Sir Bobby Robson and Terry Venables ‘partnered’ with the esteemed coach Don Howe. And in cricket, the trend is emerging whereby coaching teams get installed as opposed to a Head coach being appointed to lead the set-up almost single-handedly as it was when Mickey Stewart became the first-ever England Cricket Manager. Is Paul Farbrace the modern-day cricket equivalent to Don Howe? The man who can work easily with a variety of Head Coaches? Is he the most important member of Trevor Bayliss’s backroom staff? Or, has his role of enabling the team to relax and ‘just enjoy their cricket’ been over-stated? Farbrace is a good man. He is friendly, warm, a good communicator, and a person who both loves and respects the game of cricket. He is well-travelled too. Coaching positions with Sri Lanka, England Women and England Under 19’s have enabled him to see ‘the bigger picture’ and experience various cultures around the globe. Most significantly, his ‘ups and downs’ as a coach have made him ‘well-rounded’ as a professional, and his determination to embrace the learning form his past failures has seen him move through obstacles that may have ended a lesser man’s coaching career in professional sport. 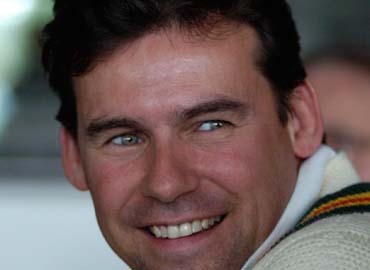 When it was announced recently that he was due to be joining Warwickshire as their Director of Sport (whatever that title means!) and leaving England as soon as the West Indies Tour ended in March 2019, I wondered how disruptive this may prove to be to England’s plans to make 2019 the most successful summer in their cricketing history. Winning a World Cup and regaining the Ashes would be an amazing achievement, and could do wonders for the growth of the game on every level. If the reports are correct, rather surprisingly, I learned that despite Farbrace’s wish to stay on in his role, and Warwickshire apparently being comfortable with such an arrangement, Ashley Giles (recently-appointed as MD England Cricket) determined otherwise. I think this decision leaves Trevor Bayliss ‘half-naked’. Instead, he will have assistant coaches alongside him, potentially auditioning for the role of England Head Coach. It does not seem a healthy proposition from my perspective, despite the quality of the men like Graham Thorpe and Chris Silverwood in the said roles of batting and bowling coach respectively. Has Ashley Giles (if the decision is exclusively his) been decisive and cleared the way for ‘new blood’ such as his friend Paul Collingwood to have an increasing influence on the England team, or will his decision ultimately backfire? Whatever unfolds over the next 6 months will happen and I hope we are in for the cricketing summer of a lifetime. As a passionate advocate of the role that sport can play in helping to create a better future society, there is no substitute for having a high-performing national team, much like the example Gareth Southgate and his fellow men provided last summer via the successful journey England made to the semi-finals of the FIFA Football World Cup. strong>Can England win the ICC Cricket World Cup? Of course they can. Will they? I am not so sure... Is the batting good enough against top quality bowling? And is the bowling good enough to dismiss the world’s leading batsmen who are capable of taking a match away from their opposition in the space of an hour? One thing is for sure – Paul Farbrace will not be involved in any role other than as a supporter from a distance in county cricket. However, should England be successful in both the World Cup and the Ashes, then I am sure Trevor Bayliss and co will raise a glass to ‘the friendly-helper’ from Kent for all he has given to the process over time.